I always like the idea of niche social-bookmarking site, as you can easily find the popular articles in a niche, and more over you will get the best content to read on. When it comes to WordPress, there are few good social-networking sites out there. 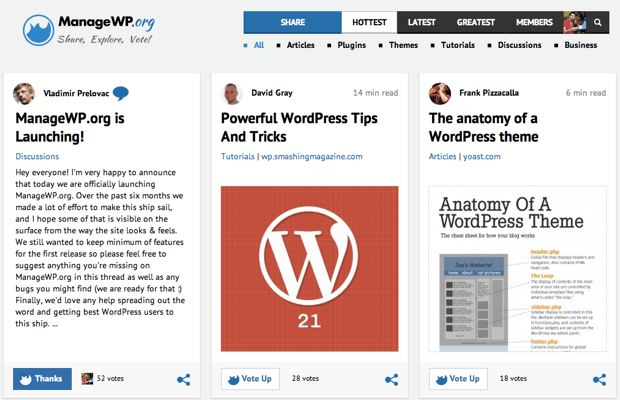 Poststat.us is one popular one and now MaageWP.org has joined the league of WordPress Social-bookmarking site. ManageWP which is also a WordPress remote management tool, and is popular with their strategically content marketing related to WordPress niche, has now taken one more step to stay an authoritative WordPress resource with ManageWP.org. ManageWP is a people powered community, and a great place for WordPress lovers to keep an eye on popular WordPress articles around the globe. 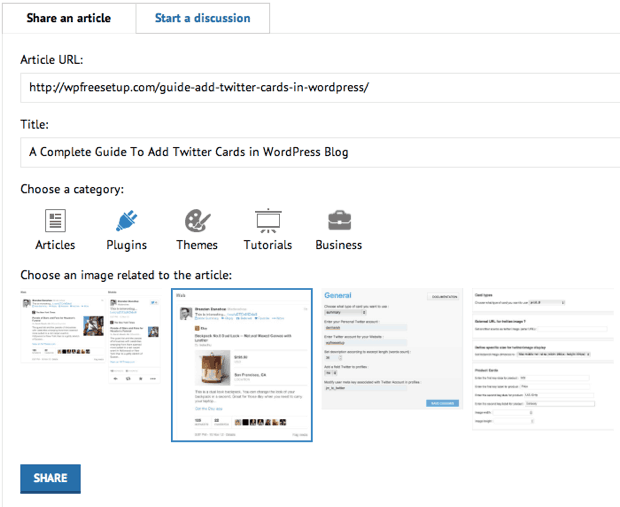 Getting started with ManageWP is easy, and all you need is your Twitter or Facebook account to register, and once you are register, you can vote for your favorite WordPress articles. To ensure the quality of this WordPress bookmarking site, one needs to apply for becoming a contributor. I believe it’s a good step for initial days, but in long run registration and submission should be allowed for new sign-up, and moderator can later on review the submission before making it live. Once you have created an account with ManageWP.org, simply click on Share and apply to become a contributor. In my case, my application was approved within an hour. Make sure you complete your profile before applying for becoming a contributor, as it will help managewp team to quickly evaluate your application. Once you got the contributor rights, you can submit WordPress articles directly from their site or you can take advantage of manageWP bookmarklet. WordPress niche blogs should also consider adding their voting button, which can help users to vote your articles directly from the post. You can grab the manageWP bookmarklet or blog button from their resource page over here. What I like about their submission process is, it automatically pulls up the post title and let you select the image for your submission. If you planning to become a part of the community, do remember: It’s a Social community. So focus on contributing to community by voting, submitting interesting WordPress articles from the web and connect with others. Overall if you are a WordPress user or fan, you should join ManageWp WordPress community right now, and become a part of the change.